The DR988 industrial electric garage heater is perfect for warming any construction site, garage, basement, and workshop with its specially designed heating element and features an impressive portable design. It comes with a built in thermostat that can be adjusted from low to high. It also features a fan that provides continuous warmth. 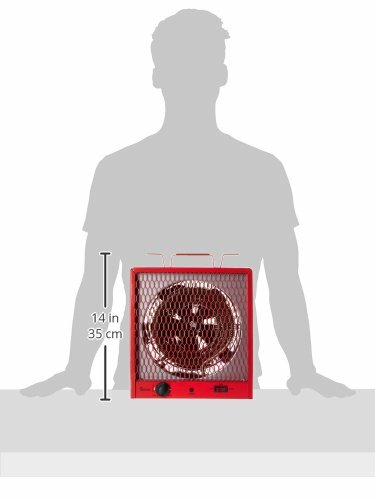 The DR988 industrial heater is dependable and sturdy. If you have any questions about this product by Dr Infrared Heater, contact us by completing and submitting the form below. If you are looking for a specif part number, please include it with your message.